At Brockhampton, we are committed to working together to put children and their learning at the heart of everything we do. 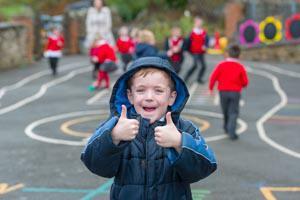 We aim for each child to achieve their full potential. We believe school should be about inspirational and unforgettable learning experiences that equip children with the behaviours and attitudes necessary for success. We believe in providing a wide range of challenging and creative learning opportunities that develop knowledge and understanding, as well as the skills and confidence to apply their learning to real-life situations and problems. We believe in building key attributes of resilience, determination, team work, the willingness to take risks without fear of failure and have a positive attitude to learning and life. We know it is both our duty and privilege to provide for our children as if they were our own and, in so doing, build a firm foundation for the rest of their lives.